When you want to eat Ramen noodles but you also want to be an adult, you make your own noodle bowl instead of going out for Pho. I used a can of beef broth to build the base and boiled baby bellas with Ramen noodles and the oriental seasoning that came with each pack. 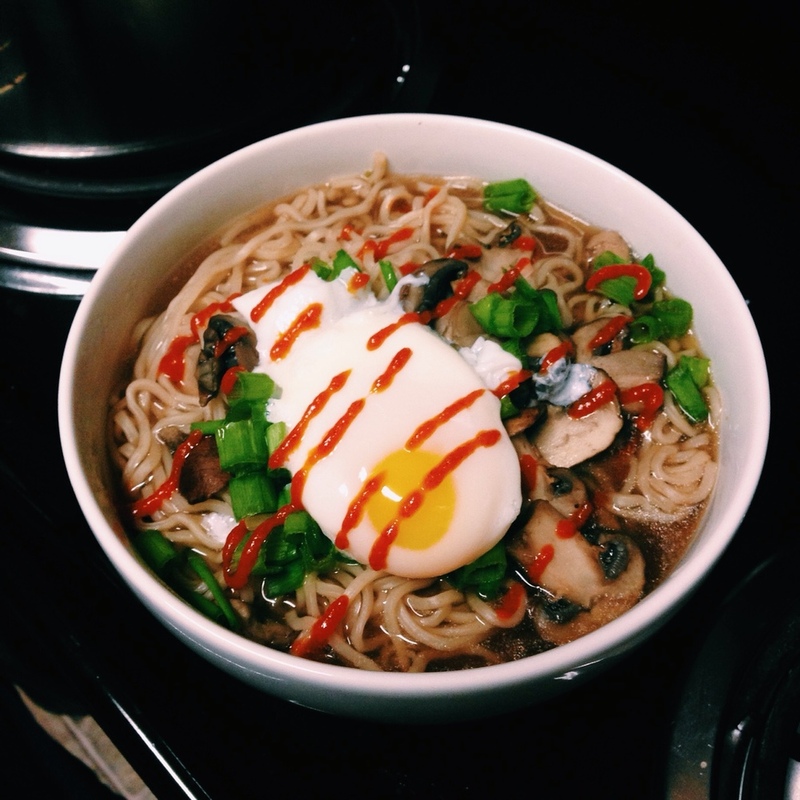 After spooning the soup and noodles into a bowl, we added green onions, a poached egg, and a little Sriracha on top. It was simple, delicious, and not at all healthy.